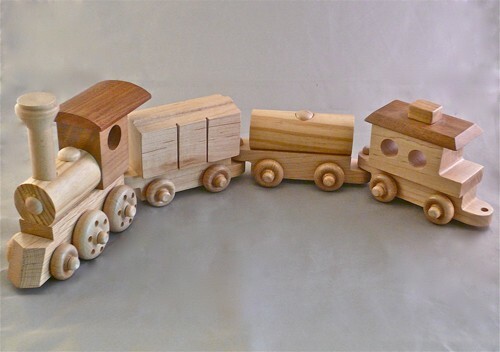 Wooden toy train - handmade at Westlake Woodwerk. Wooden toy train handmade. Each wooden consists of four components. All cars and locomtive are hand made in our workshop.